ARKEMA Chemical Representatives came from France to recognize and show their appreciation to executives in their King of Prussia facility. A special recognition was given to Volunteer Firefighter John Kelly. ARKEMA Chemical King of Prussia headquarters’ was recognized for their support and relationship with the local King of Prussia Community. They are particularly proud of their support to the King of Prussia Volunteer Fire Company. Volunteer Fire Companies across the Country are struggling to maintain volunteerism, particularly during the day time work hours. 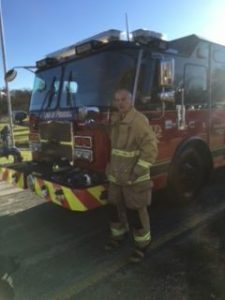 The ARKEMA Chemical King of Prussia facility employs Firefighter John Kelly. 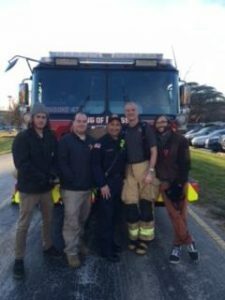 ARKEMA allows FF Kelly to leave work and respond to emergencies with the King of Prussia Volunteer Fire Company. FF Kelly doesn’t live in King of Prussia; he works here. He is a long time volunteer firefighter with the Worcester and Skippack Fire Companies in Montgomery County. Kelly is also a Pennsylvania State Fire Instructor and a member of the Montgomery County Hazardous Materials Team. 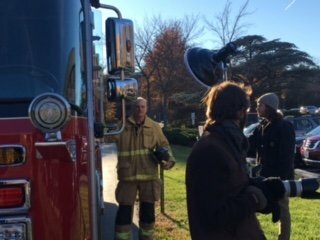 He teaches many classes at the Montgomery County Public Safety Campus. 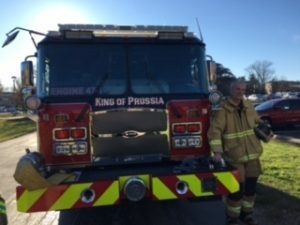 One night while teaching a class along with Dave Gallagher, Gallagher suggested that King of Prussia could use Kelly’s expertise during the day time, especially since ARKEMA is just down the road from the fire station on Allendale Road. Not only has ARKEMA Chemical allowed FF Kelly to leave work for emergency calls, the relationship has expanded into training and participation in ARKEMA’s annual Safety Day presentations to other employees. 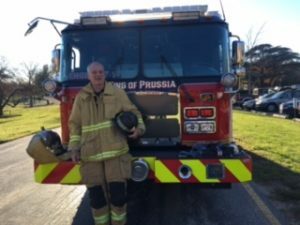 ARKEMA Chemical is proud of the relationship and King of Prussia Volunteer Fire Company is thrilled to have FF Kelly as one of their emergency responders in the day time.